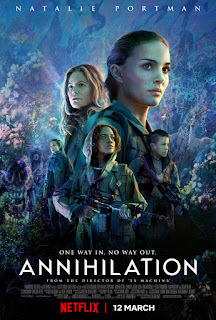 Annihilation - Creepy and very trippy sci-fi from Alex Garland, who has quickly become one of the most interesting voices in the genre. 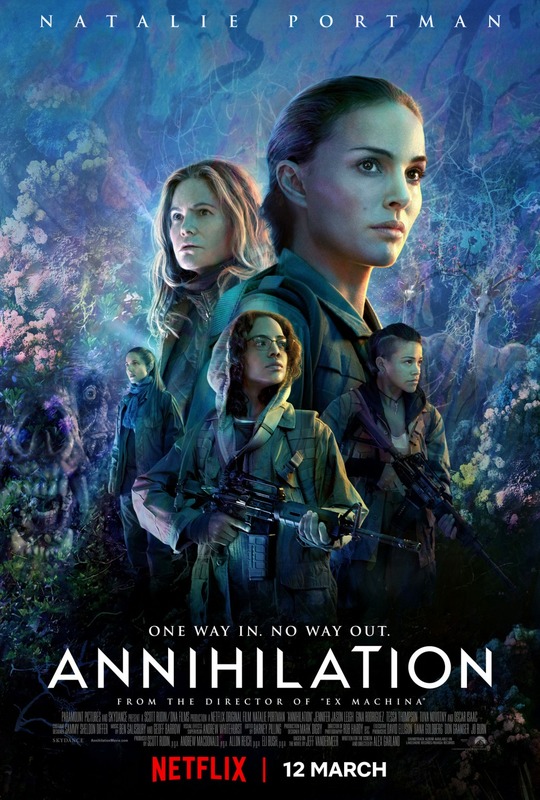 Natalie Portman leads a talented cast, as the film follows five women on a journey into a strange phenomena. This definitely deserved a wider theatrical release. A Wrinkle in Time - I wasn't expecting much after the scathing reviews, but this is actually a pretty decent adaptation of a very difficult book. The cast is generally good (though the young actor playing Charles Wallace does struggle when his character makes his big change at the end) and the visuals are delightful. A flawed movie, to be sure, but one with a wonderfully positive message. Pacific Rim: Uprising - About as good as a Guillermo del Toro-less sequel could be. The action and CGI are as superb as the first movie, but it doesn't have quite as much heart. John Boyega and Cailee Spaeny make appealing leads, and I certainly wasn't bored. Ready Player One - I was wary about this movie from the start. I haven't read the novel, but the excerpts I've seen were so hilariously over the top in their 80's pop culture references that I thought the whole movie would be Spielberg referencing better movies, some of which he made himself. Some of it is like that, but for the most part the references are pretty cleverly integrated, including a lengthy sequence recreating Kubrick's The Shining and a cameo from everyone's favorite killer doll. The visuals are way too busy, and there are no stakes to the real world aspect of the story. But if you can get over that, there is some fun to be had here. Olivia Cooke, so good in Bates Motel and the recently released Thoroughbreds, is definitely the standout in an eclectic cast. Spielberg may never recapture the effortless crowdpleasing of his 70's, 80's and early 90's movies, but this is probably the closest he's come since.